The goal of the Youth Ensemble is to stress artistic process while developing a foundation in the art of modern dance. The Youth Ensemble performs throughout the year in venues such as the International Children’s Festival at Wolf Trap, the Reston Festival and the Reston Community Center’s Center Stage. 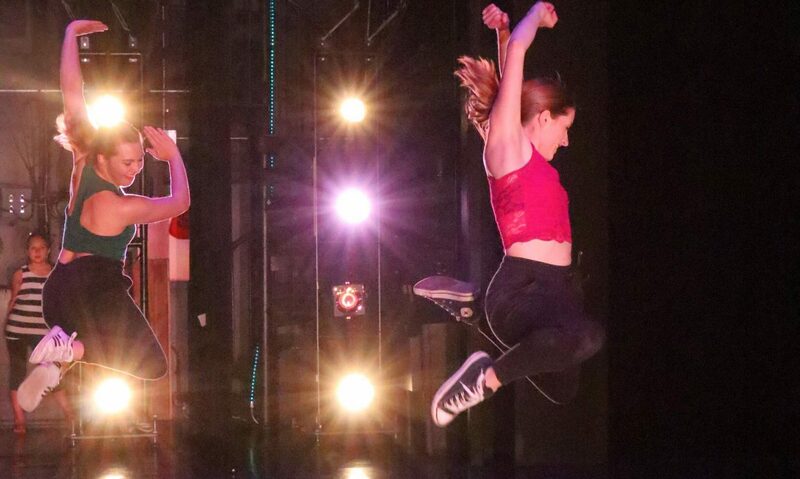 Our Youth Ensemble is a demanding program which requires a dancer’s full commitment for 30+ weeks of classes and rehearsals from September through June. Dancers are expected to attend all required classes, including technique classes, rehearsals and performances. Admission to the Youth Company is by invitation or audition only. New dancers wishing to join should contact Amanda at amanda@groundworksdance.com. For our youngest dancers, this program offers opportunities to perform and grow as creative artists while developing skills in ballet and modern technique. Company members should register for Youth Ensemble I and meet on Monday evenings 5:45-7:00 (with additional weekend rehearsals tbd) from September through June. Dancers should come to class in a leotard and convertible tights. This program for our beginning/intermediate dancers will include classes in ballet and modern technique as well as a focus on improvisation and developing skills in choreography and composition. Youth Ensemble II will meet Monday evenings from 6:00 to 8:00 (with additional weekend rehearsals tbd) from September through June and dancers should come to class in leotards and convertible tights. This all inclusive program for our older dancers include classes in modern dance technique, ballet, theatre technique, repertory and and special topics in dance such hip hop and dance composition. Youth Ensemble III meet on Monday evenings from 6:00 -9:15 and Thursdays as scheduled from September through June. Students should come to class in a leotard and convertable tights.